We build fences around our homes and gardens for two main reasons: Protection of privacy and setting the boundaries of the space we own. But let’s admit it, no one likes to worry every now and then as far as maintenance is concerned. This holds true to even with fence maintenance. 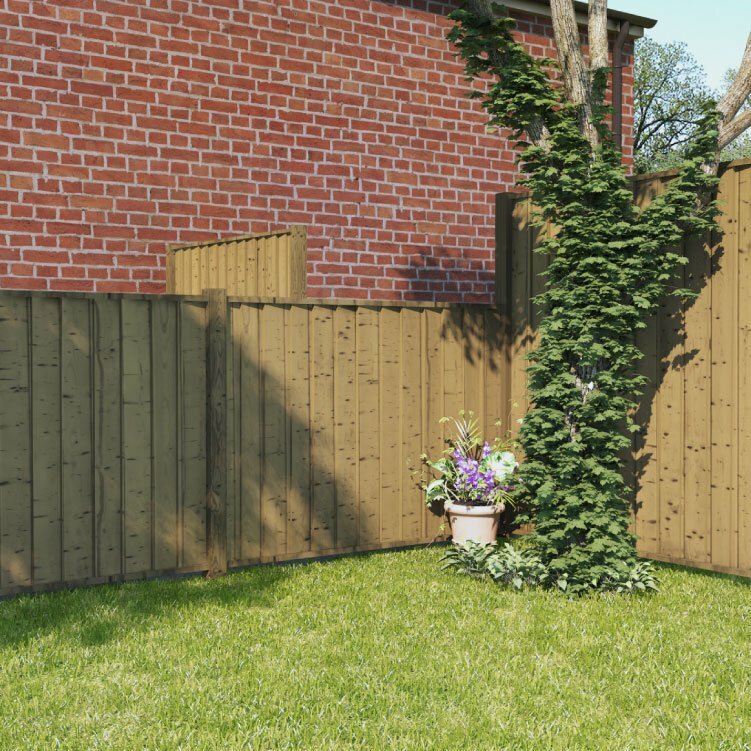 Bearing this in mind, we came up with a tightly packed, pre-assembled fence panels that you only need to treat once a year (Right--once a year, not a typo). 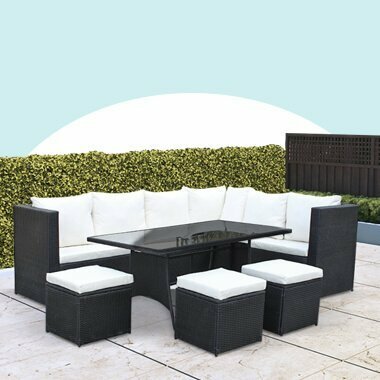 All the while remaining stylish and in-tune with nature as we only use the finest wood. We would love to speak with you and elaborate things, and answer questions you might have in mind. 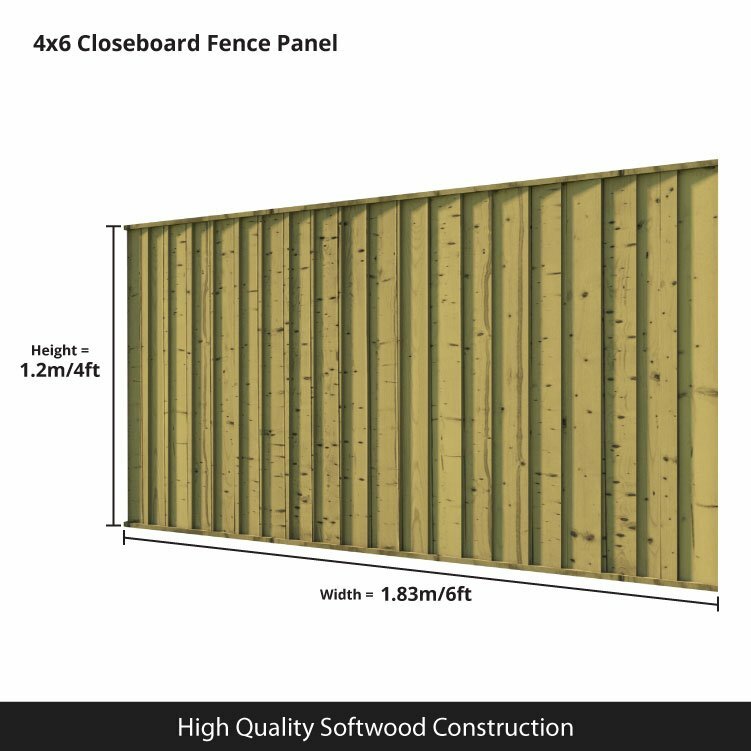 Each fence panel comes from meticulously-picked materials by our wood experts. We only use the highest quality european softwood as it possesses the criteria we are looking for. Strength and longevity. 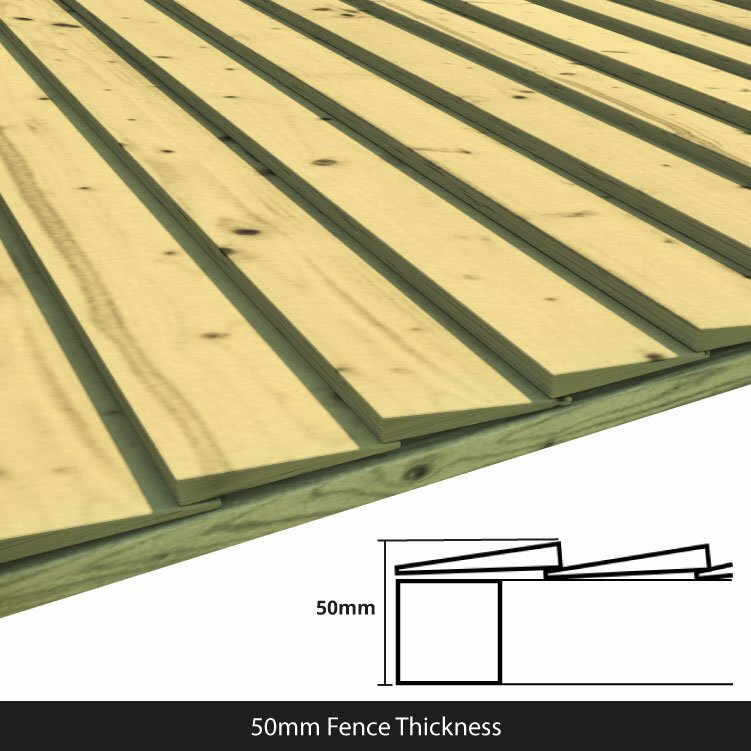 Not to mention it measures in at 50mm thickness, this doubles out the average thickness of any wooden building walls. Here’s the science: when treating wood, we normally apply the treatment by painting it on the surface then let it dry. 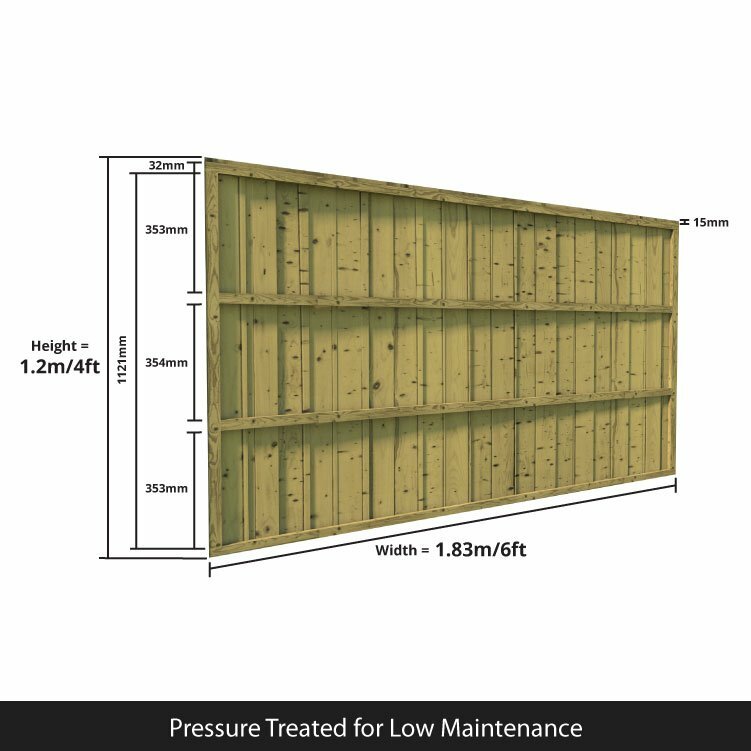 This is not the case with our closeboard fence panels, each wood is dipped in treatment for a specific amount of time until it absorbs the treatment inside out, then we dry them. This ensures that over time, as wood particles chip away, the ones inside would also be treated. This of course mean one thing… you will save money. Height 120cm 3'11" 120cm 3'11" 120cm 3'11" 120cm 3'11" 120cm 3'11" 120cm 3'11" 120cm 3'11" 120cm 3'11" 120cm 3'11" 120cm 3'11" 120cm 3'11" 120cm 3'11" 120cm 3'11" 120cm 3'11" 120cm 3'11" 120cm 3'11" 120cm 3'11" 120cm 3'11" 120cm 3'11" 120cm 3'11" 120cm 3'11"
Thickness 5cm 2" 5cm 2" 5cm 2" 5cm 2" 5cm 2" 5cm 2" 5cm 2" 5cm 2" 5cm 2" 5cm 2" 5cm 2" 5cm 2" 5cm 2" 5cm 2" 5cm 2" 5cm 2" 5cm 2" 5cm 2" 5cm 2" 5cm 2" 5cm 2"